Eric Prydz has announced that he will premiere a brand new live show at Tomorrowland 2019, titled EPIC: Holosphere. The news came as part of the Belgian mega festival announcing its stage hosts for 2019, with others locked including Rob Schulz & Friends, Claptone, Nerve, Don Diablo, and Glitterbox. The sixth in our series of Top 100 DJs charity auctions launches today, offering one lucky reader the chance to hang out with NERVO at a show near you!. If you are a super fan of the Australian duo, this is your chance to meet them at a show near you. The winning bidder can select any show from their ongoing global tour, where they will receive free tickets and get to meet NERVO! Tomorrowland Winter has revealed the first wave of artists for its debut edition, taking place from 9th to 16th March 2019. Taking place at the ‘Alpe d’Huez Grand Domaine Ski’ winter sports resort in France, the inaugural outing will play host to 30,000 festival-goers under the theme of "The Hymn of the Frozen Lotus". 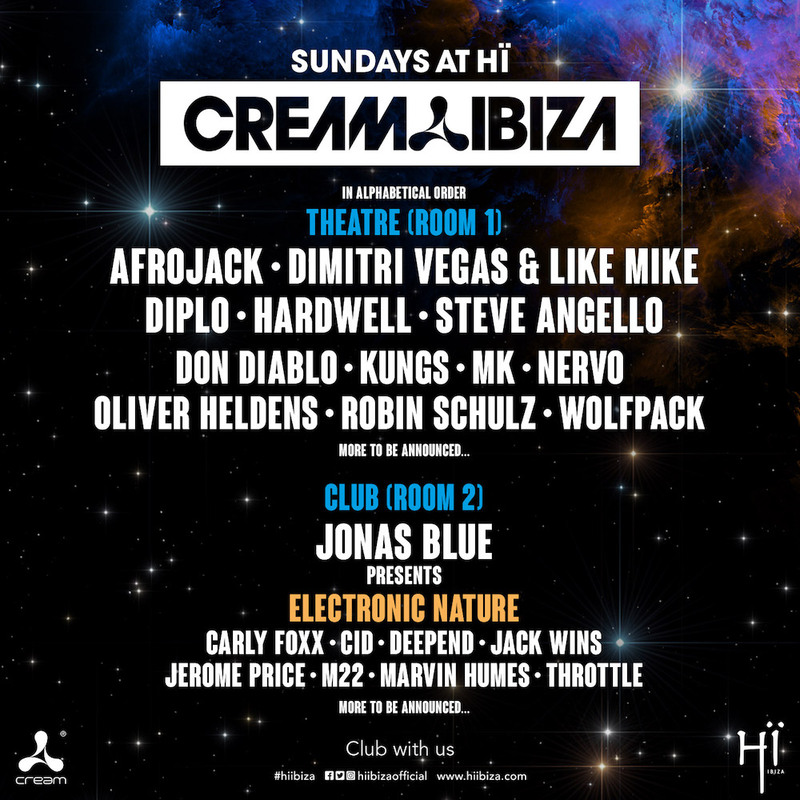 Cream Ibiza has locked in Afrojack, Don Diablo, Nervo, MK, Dimitri Vegas & Like Mike and more artists for its weekly Sunday residency this summer at Hï Ibiza, which runs from 24th June through 23rd September. DJ Mag’s Miami Pool Party went off as one of the wildest and wettest events at Miami Music Week yesterday at the Surfcomber on Collins Avenue in sunny South Beach. Australian EDM duo Nervo have unveiled their latest single and it's a collaboration with Chicago rapper Chief Keef, called 'Champagne'. Released via Spinnin' Records (who have just been bought by Warner Music for a cool $100 million) the collaboration occupies the ground between rap and tropical-infused trap. As expected, the sisters deliver the track's low-key trap vibes whilst Chicago's Chief Keef delivers some auto tune verses to give the track something of a crossover appeal. Disneyland Paris is set to host an EDM festival on Saturday 8th July in the French capital, appropriately titled Electroland. American EDM DJ Steve Aoki will headline the one-day festival along with Australian sister duo NERVO, who’ll be joined by french DJs Michael Calfan and Richard Orlinski. The new event will give ticket holders exclusive access to the park rides by night as well as the acts on a series of outdoor stages. 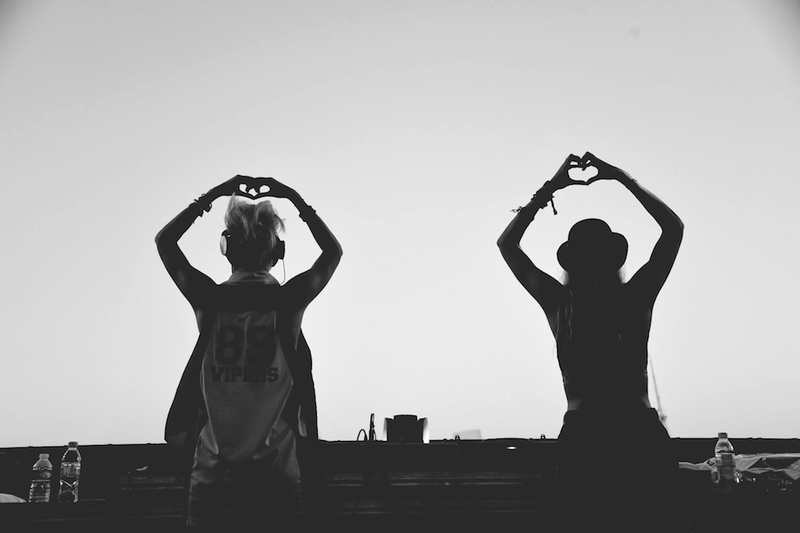 NERVO have released their new single ‘In Your Arms’ via Big Beat Records. After teasing ‘In Your Arms’ a couple of weeks ago, the Aussies have not only released the new single, but have also unveiled a brand-new music video. The tune is led by a piano and features catchy synth hooks, plus NERVO member Miriam’s vocals as part of a stirring love story, while the visual features mixed hues and highly coordinated choreography.